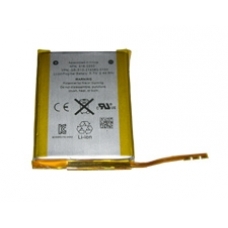 iPod Touch 4th Gen 3.7V Li-ion Polymer Replacement Battery. If the amount of time the battery holds a charge on your iPod Touch is decreasing, then buying a new battery will solve your problem. * 3.7V capacity, 3.44 Whr. * Apple Part Number: 616-0550.